MAJOR BIG EXCITING NEWS: WE'RE MOVING! It's official. We've found a dreamy new home and we couldn't be more excited. 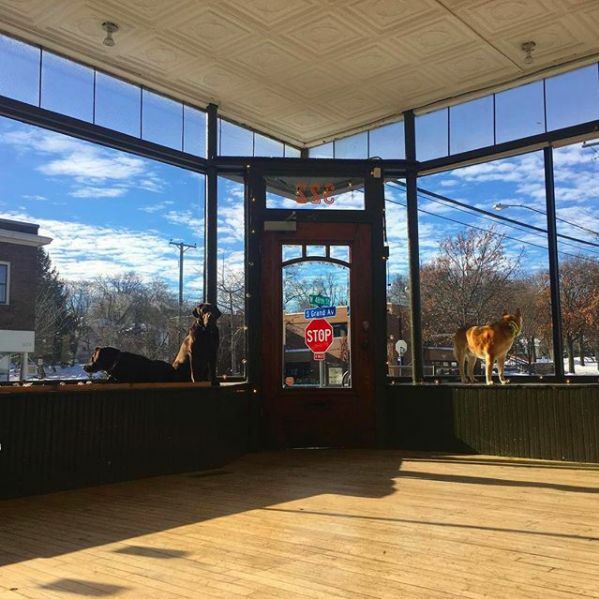 We've been looking to expand into a larger space for a while now—somewhere with more room for the girls to romp, more cozy corners for more lovely things, more golden afternoon light, more space for parties (and, ahem, more parking). When an incredible corner location (old brickwork! pressed tin ceilings! catty corner door! airy transoms! southern exposure!) opened up in South Minneapolis at the exact time we learned that our beloved old foundry building needed much more architectural TLC than originally thought ... it truly felt like fate. We are so looking forward to setting up our new forever home in South Minneapolis and never fear, we'll be back in the North Loop once construction clears up. In the meantime, you juuust might see us back on the block (or in your city/town/farm/orchard/swimming hole) sometime sooner rather than later... stay tuned! We are over the moon and can't wait for you to come see us in our new home. Love is in the air and there's so much to celebrate! We'll be hosting an All-Day-Valentine's-Fête at our new location (there will be bubbly). Never fear, darlings, we will still be open for all of your Scandinavian-brush-Belgian-linen-German-toy-Minnesotan-beeswax needs in our current North Loop location until early February. We'll be in our current, temporary location at 121 N 1st St, MPLS 55401.